Maybe It’s Not A Luxury But A Necessity. I never thought I would be saying this, but sometimes it is a good idea to hire a cleaning service for your students’ apartment or dorm. Hear me out…I think most kids are perfectly capable of keeping a clean room. Growing up, my daughters knew I was not their maid and they certainly learned how to clean their rooms. But, recently I had a friend whose daughter was extremely sick with the flu. The mom began a search to have the entire apartment disinfected. With flu season and virus’ going around; wouldn’t it give you peace of mind to know those nasty germs have been eradicated and may lessen the chances of your child catching what their roommate has or the roommates catching what your child has? Of course, this is my strongest point, but having seen my daughter’s apartment after a few months of living, I have others. 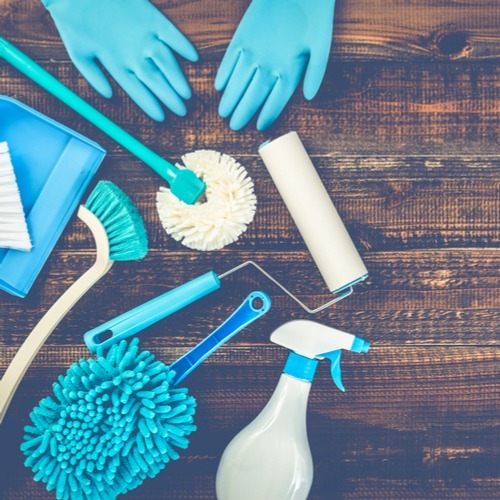 Some students simply don’t have the time and are often searching for affordable cleaning help. Here are few cleaning services some of our Owls have tried. Dorm Mom- Dorm Mom Cleaning services start at $69 per visit. They send out 1 cleaner who will clean for up to 3 hours the common areas, kitchen, and bathrooms. Dorm Mom also has laundry options; prices vary based on load size and frequency. For more information, visit their website. Classmaids – Also popular with many students, you can book everything through their website. They also offer laundry services. Most of their employees are students who are background and reference checked. They offer a move in/out cleaning service as well. One might also check out Thumbtack’s website or app for reviews. Locals post about their business, expertise, and services offered. There is a page specifically for house cleaning in the Boca Raton area. You will need to know the zip code of the area you are searching. Finally, there are some students that like to clean (not my daughter) and will do so to make some money. Some will do laundry for a fee too. Students can look at social media for posts or post what they are looking for.